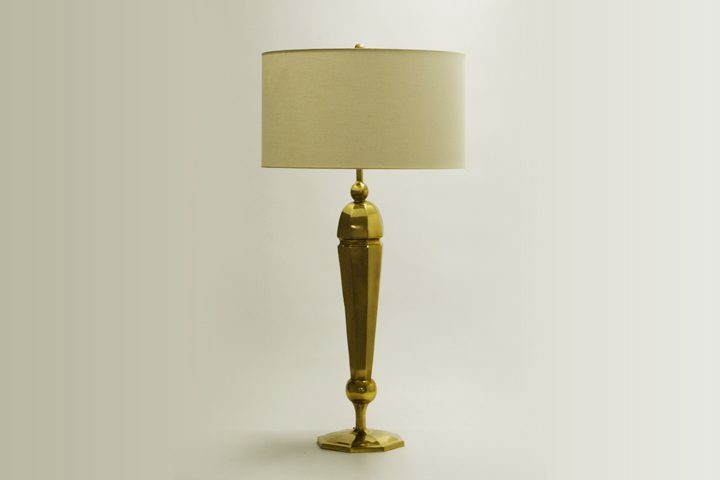 An elegant French Moderne-style octagonal table lamp, this piece was inspired by the work of legends like Andre Arbus. Hand-crafted using the lost-wax technique of bronze-casting, this classic design will truly be something to pass on to the next generation. 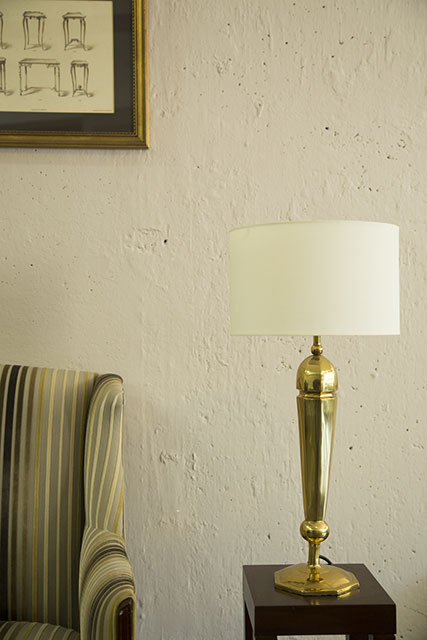 This design is offered in two sizes, the larger’s grand scale giving it a strong presence in any room.